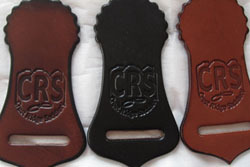 We can make all of our leather saddles and tack in any of these three colors at no additional cost. If you desire another color, you must call us to see what is available. Custom colors cost more, take longer to procure and may make your item non-returnable. 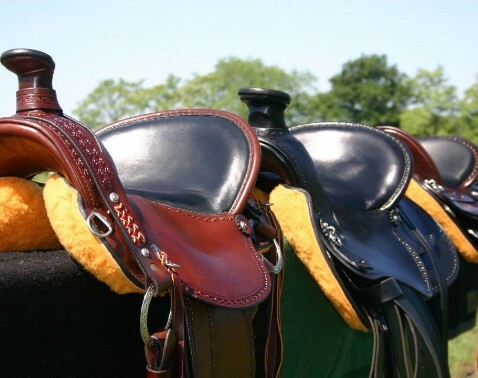 Cordura is used on our Lite and Ultra-Lite saddles at no additional cost. Black, by far, seems to be the preferred color. No additional colors are available. 13 to 18 inches. 13, 14 and 18 inch seats are not compatible with all trees. 14 and 18 inch seats require longer to produce. Make the twist wider or more narrow, or the build up the rise from back to front. Price varies. 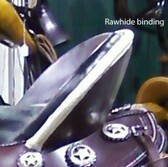 All of our saddles come standard with 4 stainless steal coachman and loops along the back, a crupper ring or D, and another set of loops on the front latigo/cinch keepers. Available on the Crusade, Sentry or Wade only. 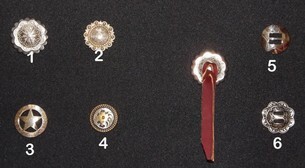 Horn, cantle and swell only. Reinforced tree suitable for roping. We do not cover damage caused by roping to saddles under our guarantee or warranty unless we reinforced the tree for roping. Not available on all trees or saddle styles. The slide by is an extra piece of skirting that goes between the rigging and fender. It prevents the fender from getting caught on the rigging when the fender moves forward. 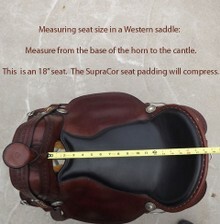 Now standard on all saddles at no additional cost!